What is Madeira Recreational Basketball? Madeira Rec Basketball is a not-for-profit organization designed to provide opportunity for the youth of Madeira, Ohio to experience the game of basketball, emphasizing skill development, sportsmanship, and fun. All Madeira Rec Basketball coaches and administrators are volunteers. All children in grades 3-6 who either reside in the City of Madeira, or who attend one of the Madeira City Schools, are eligible. Additionally, any Madeira students in grades 7-12 who are not participating on MMS or MHS basketball teams may also participate. For grades 1-2, Madeira Elementary School provides a separate program, which is unaffiliated with Madeira Rec Basketball. Children and their families will be informed of this program through the school. All teams will participate in the Cincinnati Premier Youth Basketball League (www.cpybl.com). Teams will play a regular season consisting of either 10 or 20 games. Typically, half of those games will be played at our home gym of Madeira Middle School, while the other half are “away” games played at schools generally on the east and north sides of Greater Cincinnati. Games will begin during the first weekend of December, and will extend through the end of February. All teams will typically play at least one game each weekend. Games on Saturdays will generally begin anytime from 9am through 8pm, while games on Sundays will typically be played after 11am. After completion of the regular season, the league will host a single-elimination postseason tournament for all teams the following weekend. There are no regular season games scheduled through the holiday season. Each recreation-level team will practice at a minimum of once per week on Monday / Tuesday / Wednesday / Thursday. Select-level teams will practice twice per week. Practices are held at either Madeira Elementary School, Madeira Middle School, or Madeira High School. Because we only have three gyms at our disposal within the community, with the MMS and MHS gyms being shared with the school teams, we have a relative scarcity of available gym time each week. Therefore, teams typically will practice on one half of the gym, alongside another team, for 90 minutes each session. Depending on the number of teams, there is a chance we will need to acquire gym time at facilities outside of the Madeira school system. Practices will begin during the first week of November, and will extend through the week leading up to the postseason tournament. What are the age-specific rules? All league rules are found at www.cpybl.com. All age groups through 8th grade will use the intermediate size ball (28.5”). Generally speaking, rules for 5th grade and older are consistent with Ohio High School rules. For 3rd and 4th grades, rules have been modified related to free throw lanes as well as the types of defenses allowed. 3rd grade girls will play at a rim height of 9 feet; all other classifications play at a full 10-foot rim height. What classifications of teams do you offer? For the 2018-19 season, we plan to offer three possible classifications of teams. Fulfillment of teams in each classification will be entirely dependent upon the number of players registering for the various classifications in each grade and independent talent evaluations. Team selection and player classification for all players may be re-established at the beginning of each season depending on classification of teams. Select teams – Athletic-level teams will be created for 5th and 6th grades. These teams are designed for advanced players who are interested in a more competitive basketball experience. Select teams will be determined by tryout/assessment, with recommendations made by independent evaluators from outside the Madeira Rec Basketball and the MHS/MMS programs. Select teams will have 8-12 players, depending on the assessment of the evaluators. Select teams will practice twice per week. They will play a 20-game schedule at an appropriately competitive level within the CPYBL organization. They will also participate in a preseason preview event, an in-season holiday tournament, and the CPYBL postseason tournament. Games, and possibly practices, may require extra travel compared with recreational-level teams. Players chosen for Select teams will be required to pay a supplemental $80 fee after the initial registration fee to cover the incremental cost of the Select program. High Rec teams – High Rec teams may be created for 5th and 6th grades, depending on interest and evaluated talent levels. These teams are for players who are interested in playing additional games and would like a moderately competitive experience. High Rec teams will also be determined by tryout/assessment, with recommendations made by independent evaluators from outside the Madeira Rec Basketball and the MHS/MMS programs. High Rec teams will have no more than 10 players per team. High Rec teams will practice once per week, however they will play a 20-game schedule against similar levels of competition with the CPYBL organization. (The CPYBL will place these teams in a classification called "Athletic C".) They will also participate in the CPYBL postseason tournament. Players chosen for High Rec teams will be required to pay a supplemental $30 fee after the initial registration fee to cover the incremental cost of additional games. Recreational teams – Rec-level teams will be created for all grades, beginning in 3rd grade and extending through high school. In 3rd & 4th grades as well as 7th-12th grades, all players regardless of interest and skill will be placed on a Rec-level team. For 5th and 6th grades, Rec-level teams will be created through the registration process. Players who are new to the game and/or at an introductory skill level, as well as those players who prefer a less competitive game experience, are encouraged to play on a Rec-level team. Additionally, players who are not recommended for either a Select or High Rec team will also be placed on a Rec-level team. Rec teams may be newly drafted each year. For 5th & 6th grades, teams will be created through a selection process to take place after Select/High Rec tryouts have been completed. 3rd grade Rec teams are developed through a selection process overseen by Madeira Rec Basketball leadership, with input provided by physical education instructors in the schools. Every attempt is made to create parity across each of the Rec-level teams for all grades. Rec-level teams will practice once per week. Rec teams will play a 10-game schedule, and will participate in the CPYBL postseason tournament. Initial registration fees cover the entire cost of the program for Rec-level players. How do I make my choice of classification? At registration, you will be asked to choose an option for a team with a 20-game schedule or a team with a 10-game schedule. All players selecting a 20-game schedule will be expected to attend tryouts and will be evaluated for team placement. All players selecting a 10-game schedule will automatically be placed on a Recreational team, and these players will not be required to attend a tryout. The assessment sessions will be held in early-to-mid October, with specific dates and times to be communicated at the completion of registration. There will be two separate nights of tryouts. All players choosing a 20-game option at registration are expected to attend both nights of tryouts. If players can attend only one night of tryouts, they must communicate this in advance of the tryouts to the Madeira Rec Basketball coordinator (madeira.rec.basketball@gmail.com). If players do not attend either tryout session, they will be unable to be placed on a Select-level team. They may be able to place onto a High Rec team without a tryout, but only if there is sufficient room on the team after the selection process is complete. 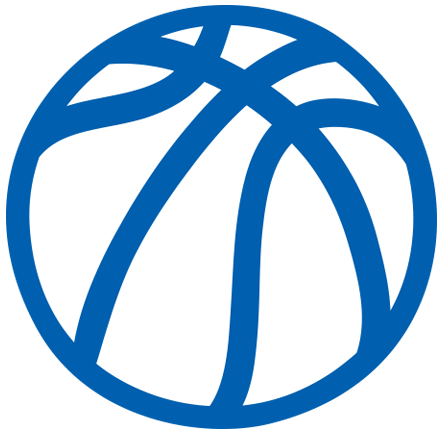 Assessments are organized by the Madeira Recreational Basketball coordinator, with player evaluations conducted by independent evaluators from outside the Madeira Rec Basketball and the MHS/MMS programs. During each evaluation session, each player will be assessed on the basis of their individual skill level through participation in multiple drills. Players will also be evaluated through various scrimmages ranging from 5-on-5 to 1-on-1, at the discretion of the independent evaluators. Each assessment session will run for approximately 75-90 minutes. Participating players should plan to arrive 10-15 minutes early to each session in order to register and be assigned a uniform number for the session. How and when are tryout results communicated? The evaluation team will meet at the conclusion of the final night of assessments to make their final recommendations. Select and High Rec team rosters will be posted on www.madeirarecbasketball.com approximately 24 hours after the end of the final evaluation session. Official recreational team rosters will be finalized and communicated prior to the end of October. Registration will begin in early September, and will extend through October 1 for grades 3-6. For grades 7-12, the deadline will extend to one week after school team tryouts have concluded, in approximately mid-November. Late registrations will possibly be accepted past the due date, depending on roster sizes for that particular grade/gender, and subject to late registration fees. You may register online using either the "Register Online" button on the left banner of this website, or the red "Register Now" link on the top right of the homepage. Base fees for Madeira Rec Basketball are $80 per player for players in grades 3-6, and $60 per player for players in grades 7-12. If a player registers after the registration deadline, there will be an additional $20 late fee. The base fee for grades 3-6 also includes the cost of a warmup/shooting shirt, which the players will keep after the season. If a player chooses to reuse their shooting shirt from a previous season, the base cost will be reduced by $10. Players qualifying for the 20-game High Rec teams will be required to pay an additional $30 after the selection process has been completed. Players qualifying for the 20-game Select teams will be required to pay an additional $80 after the selection process has been completed. Base fees cover all costs associated with the program including, but not limited to, league fees, referee costs, insurance, and uniforms. Select and High Rec supplemental fees will cover costs associated with additional games, in-season tournament play, and gym rental costs as necessary. Madeira Rec Basketball provides a full uniform for each player. The uniform includes shorts, jersey, and shooting shirt. The shooting shirt will belong to the player after the season, while the shorts and jersey are to be returned to Madeira Rec Basketball for use in the following season. Jerseys and shorts not returned at the end of the season will be charged back to the family at a cost of $40. Your child will not be allowed to play the following season if a uniform is not turned in or the fee is not paid. Are there any other costs to participate? Your child will need a pair of basketball shoes and some comfortable athletic clothes for practices. Most coaches will expect their players to bring their own basketball to each practice. Admission fees are charged for games at most gyms, including home games at Madeira Middle School. All coaches have a working knowledge of the game, but most importantly they are committed adults who are willing to volunteer their time for your children to learn and compete at the game of basketball. We begin the season with a coaching clinic hosted by Coaches Rick Rockwell (MHS Varsity Boys) and Jared Kline (MHS Varsity Girls), and their staffs. This clinic provides help with the basics of basketball coaching, developing practice plans, introducing age appropriate drills, and ensuring that the MRB coaches have a strong foundation to encourage learning and develop concepts which the players will carry with them through their basketball career at Madeira and perhaps beyond. If you are interested in coaching, please note your preference on your child’s registration form, or e-mail .